Manchester United confirm they have exercised a clause to extend the contract of Spanish playmaker Juan Mata by one year, meaning he’ll remain at Old Trafford until 2019. The 29-year-old was originally out of contract in the summer. 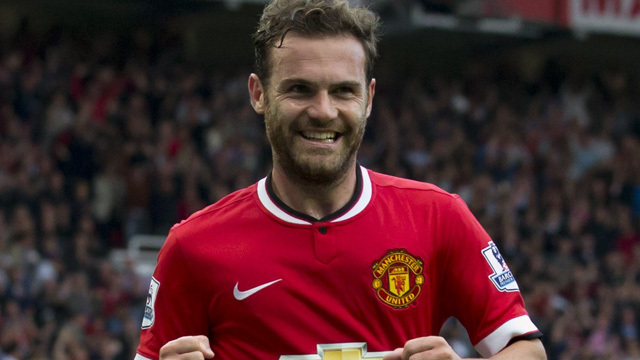 Signed from Chelsea in 2014, Mata has made over 170 appearances for United, winning the Europa League, FA Cup, League Cup and Super Cup during his time with the Red Devils. Manager Jose Mourinho paid tribute to the midfielder after the announcement, citing his importance to the side. The former Valencia man, who boasts 10 goals in 41 caps for the Spanish national team, has made 19 Premier League appearances and turned out in four Champions League outings this season. He remains an ever-present in the side, and clearly has unfinished business despite turning 30 in three months. “I’m happy with everyone at the club and, obviously, with the manager and my team-mates,” said the fan favourite. “Once you are part of this club, your football career is not the same; it changes, because this is one of the biggest clubs in football history. Despite United have stiff competition for a starting place, with Jesse Lingard, Alexis Sanchez, Anthony Martial and Marcus Rashford as options in the wide areas, Mata continues to get the manager’s faith. Many felt Mourinho being appointed in 2016 would spell the end of his time in Manchester. However, he’s grown in importance under the Portuguese coach.